2010 TOURNAMENT WINNERS. 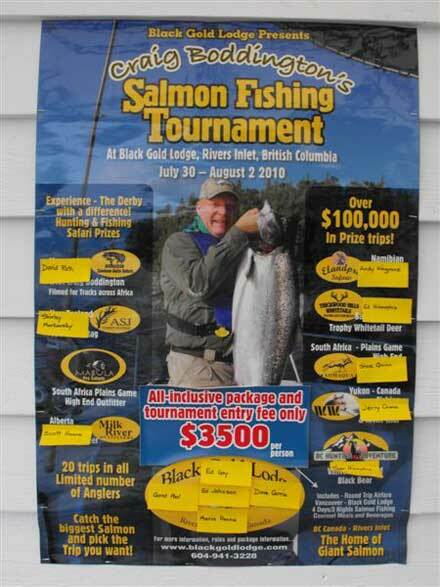 See the names and prizes of our 2010 competitors. 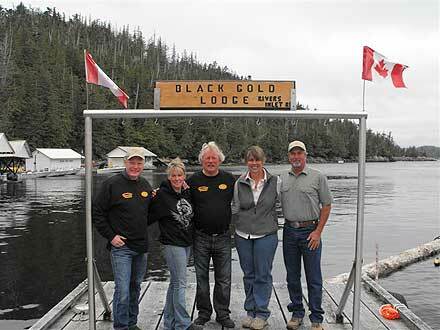 Our First Annual Craig Boddington Salmon Fishing Tournament was great fun for all 13 participants, along with everyone here at the lodge. We had over 20 Safaris up for grabs, which meant that every competitor was going to finish with a great trip regardless of success on the water. ONE prize per contestant! How can you beat that? Good thing, too, because the fishing this year proved to be a challenge. 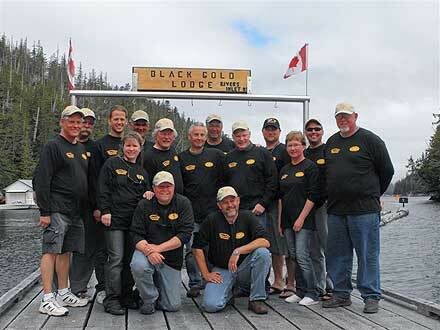 No Tyee were taken during the tournament, but spirits were high and everyone caught fish. Call us soon. We look forward to seeing you! 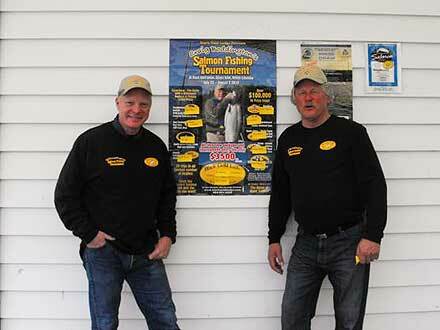 We would like to thank Craig Boddington for his help and enthusiasm in making our first tournament a great success! Wouldn't you like to see your name on our 2011 tournament prize list? From left – Craig Boddington, Donna Boddington, Jim (needs a haircut) Rough, Judy Sonne and John Sonne.